These people are a bunch of rip offs and heartless money hungry thieves. They see that you have a corporate reservation for a certain rate and a certain total estimate but still screw you over by charging you for winter tires which should be included in a province where their vehicles legally should have winter tires by law during the season, a safety feature that should be provided by law in bc during the winter and there shouldnt be an option to say no i would like no winter tires im planning on dieing today. They even change the rate as well and screw you over so when the time comes for you to do your expenses you have to go through hell to get reimbursed. I wish enterprise or national had a location here. I think im just going to drive out here from now on. Its better than dealing with these con artists. Fantastic personalized service! 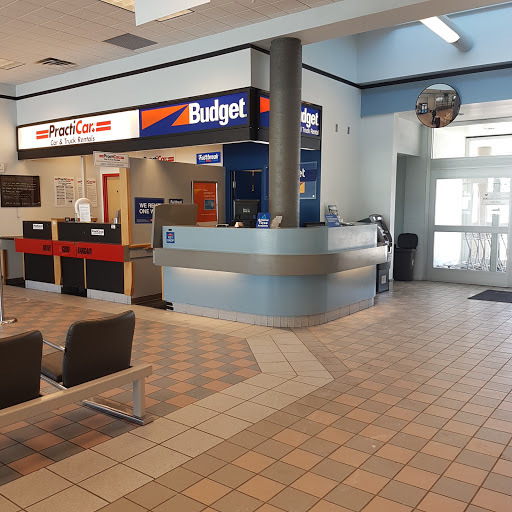 We arrived late for our reservation at the YCG airport due to a missed connection from Vancouver but Budget was waiting for us and even offered another vehicle at a lower rate which suited us better. The service was friendly and they brought the truck round for us while we wheeled our luggage to the curb. Very pleased with the service and price. Rude rude rude!!! The supervisor was very kind but the young lady at the counter in the airport terminal should not be serving the public!!!! Fast and efficient. Andrea was particularly helpful and friendly. Would certainly recommend renting from this team.